Show your creativity and have some fall fun by decorating a scarecrow for the annual contest. We’re excited to have several new ways to win this year, with a total of more than $800 in prizes! 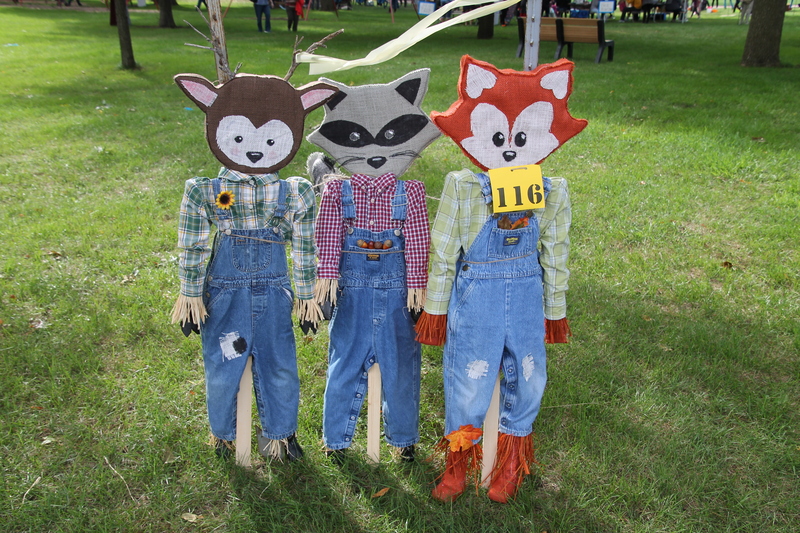 Scarecrows must be entered at the registration booth between 8 a.m. and 9:30 a.m. on Saturday, September 21. No advance registration is required. View full contest rules and scarecrow specifications here. Judging will take place at 10:00 a.m., with winners announced at 12:00 p.m.
All scarecrows will be auctioned off at 2:30 p.m. Entrants in the Preschool through 5th Grade category can choose to keep their scarecrows. All others will be auctioned. Three winners are chosen in each category with a total of $600 in cash prizes. A Best of Show winner is awarded to one entry from all categories, including Friendship & Service Club member entries. Festival goers can vote for their favorite scarecrow from 10am through 11:30am. The scarecrow receiving the most votes will receive $25 in Akron Chamber Bucks.